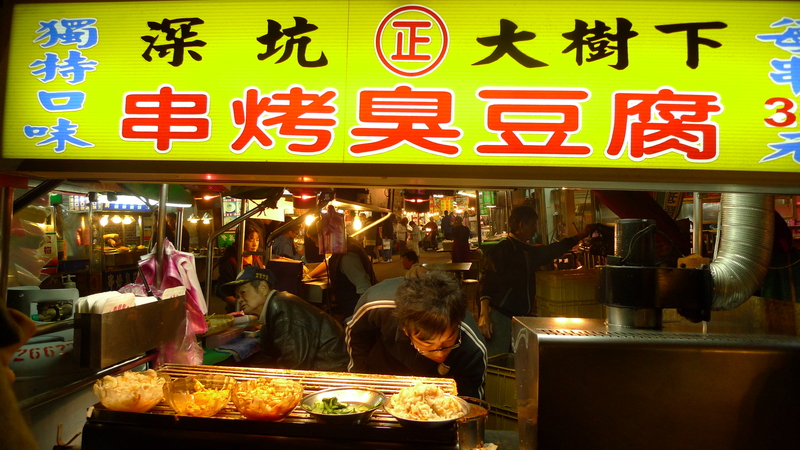 If you love stinky tofu you have to make a trip to Shenkeng Old Street (深坑老街). I’ve heard a lot about Shenkeng’s famous tofu street so I had to go. From anywhere in Taipei, Shenkeng is easy to get to. Just take the MRT to the Taipei Zoo Station (台北動物園站) and then get on a bus to the 深坑 stop (we took the 237). From the bus stop just go follow where the people are coming from. Overall, Shenkeng is rather empty and there are no real signs pointing to the stinky tofu street. 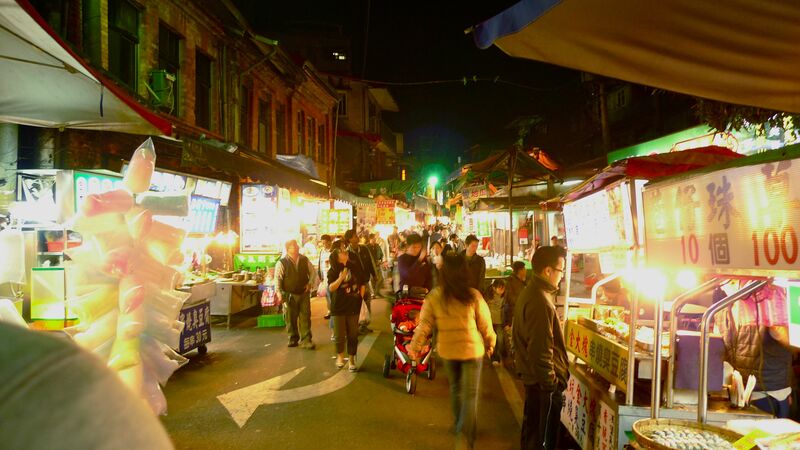 Shengkeng street is lined with stands and restaurants that not only sell stinky tofu, but regular tofu as well. We didn’t know which restaurants were famous for which ones were better than others, so we just chose at random. Our first stop was 王水成臭豆腐店. There were a lot of people inside so we figured it was a safe bet. We ordered the steamed garlic stinky tofu, bamboo and fried tofu. We liked the garlic stinky tofu except it wasn’t stinky at all, which was disappointing. The flavor was nice though and the chunks of garlic good. 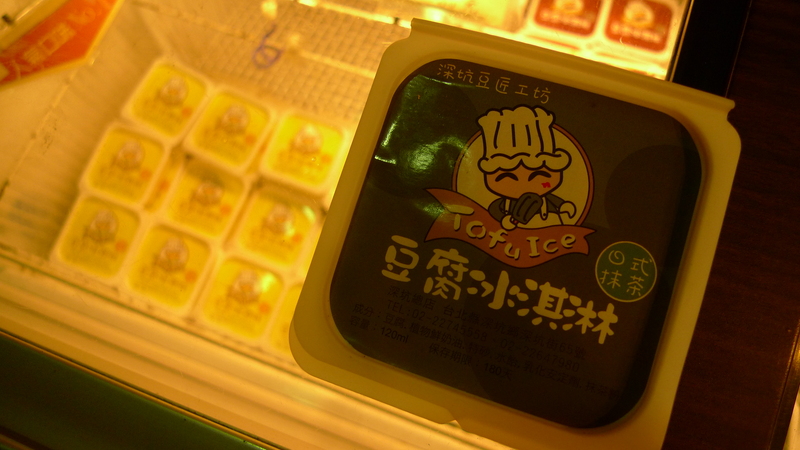 You could also tell that the tofu was fresh because it was the right sponginess, just needed to be more stinky. 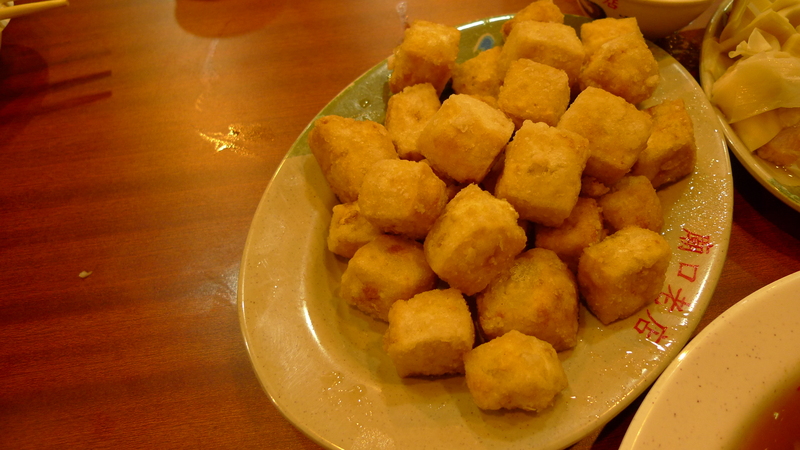 The fried tofu was good, but it was just fried tofu. Nothing that special. The best thing at this place, that we had, was the bamboo. It was well seasoned, tender, and just plain good. I probably wouldn’t come back here for the tofu, but I’d definitely come back for the bamboo. We saw this and had to try it. Bad decision. It definitely took you back to the days where you were a kid and eating play-doh cause that’s what it tasted like. I could not taste green tea and it didn’t taste like tofu. The minute my friend said it tasted like play-doh it dawned on me, and yes, it tasted like play-doh. Our second stop was at 好鄰居 (Good Neighbor). 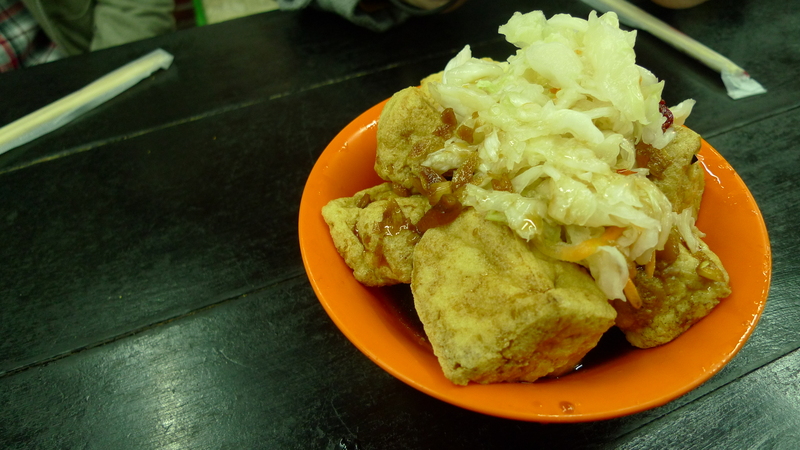 They sat the four of us down at a huge table and we ordered our one tiny portion of the fried stinky tofu. It was pretty good. Nothing that spectacular, but good. The pickled cabbage (泡菜) was pretty good, and if you got a bite with the tofu, the sauce, the hot sauce, and the cabbage, it was even better. This place had my favorite stinky tofu. I have no idea what the name of this shop was, but it’s the first sit down shop on the left when you enter the street. The pickled cabbage was really good as was the sauce. The tofu as actually stinky too, which was nice. The rest of my group thought the sauce was too salty, but I loved it. Definitely my favorite. Since we had already gotten fried and steamed stinky tofu, all that was left was barbecued. We chose this stand at random because the stand we wanted to go to was already closed. The stinky tofu here was really good. The sauce on it had a peanut sesame taste that was unique and tasty. 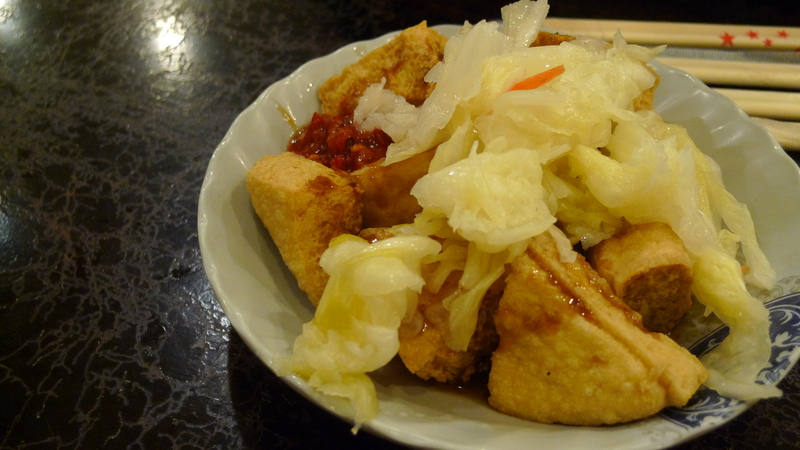 The stand guy sliced the tofu down the middle and put some cabbage in it as well which added the crunchiness it needed. 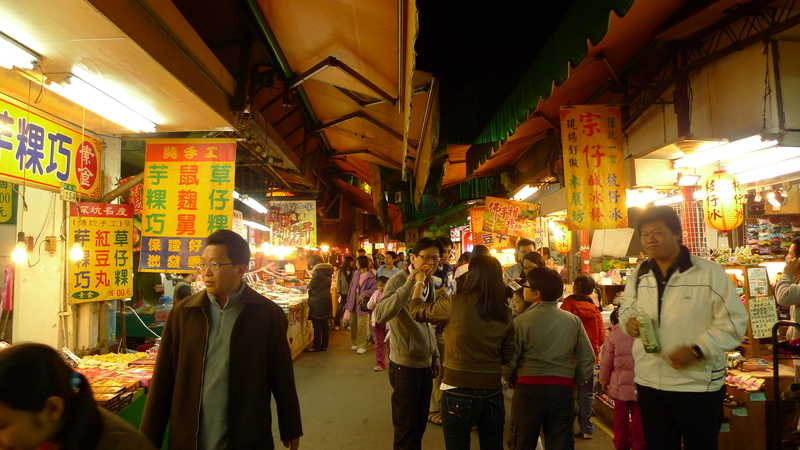 Overall, Shenkeng is a great place to just walk around and snack. If you like stinky tofu Shenkeng is a must. 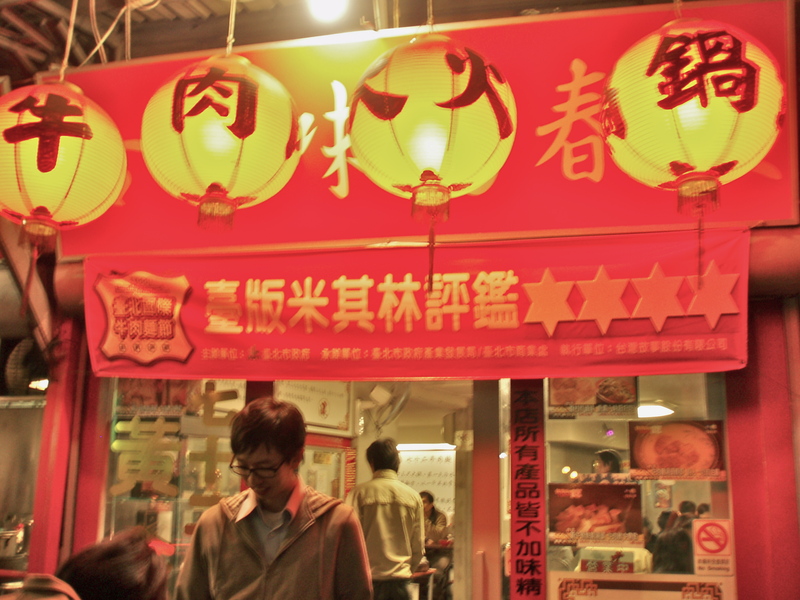 My goal is to go to every 4 star rated beef noodle store in Taipei, according to the 2009 New Row Mian Festival Guide. Seventy-two Beef Noodle was first on that list of places to try. After seeing the picture of the white broth soup, a group of us decided we had to see what was so great about it. First excuse the crappy photo. My camera died and my boyfriend’s camera does not like the indoors or things too close to its lens. 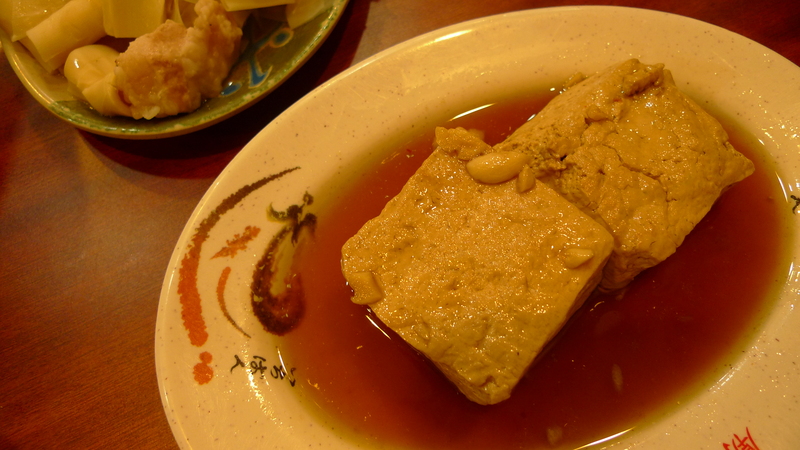 While the boys went to find drinks, we spotted something that looked like stinky tofu and decided we had to order it. 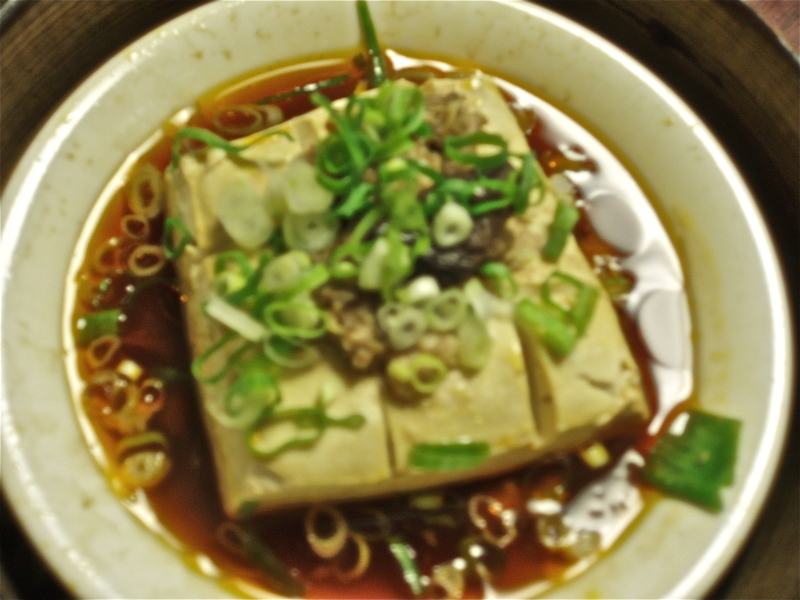 It ended up being spicy steamed stinky tofu (麻辣臭豆腐). For 30NT this was definitely worth it. The meat that is on top of is is pretty good and the sauce was tasty. It didn’t taste mala/spicy to me though, but still good. Honestly, I think we all had really high expectations of what this broth would taste like. At first sip the clear broth beef noodle (清燉牛肉麵) does not taste very rich. 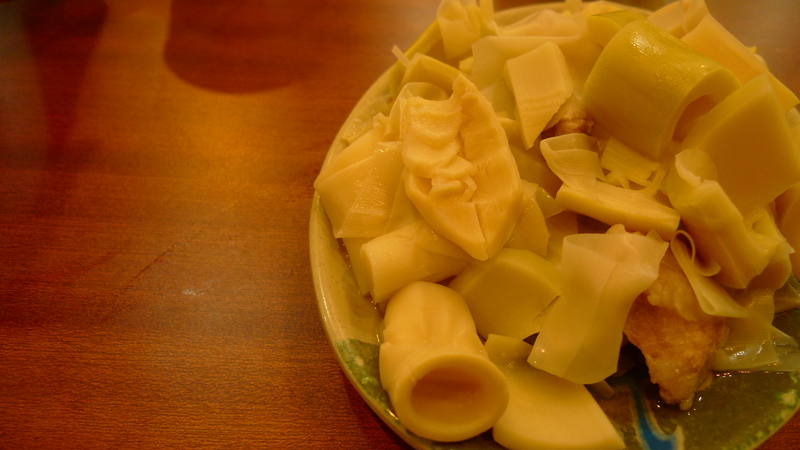 The cloudy color of the broth is from the ox bones they use to make it. According to their menu, they brew the broth for 72 hours with ox bones. 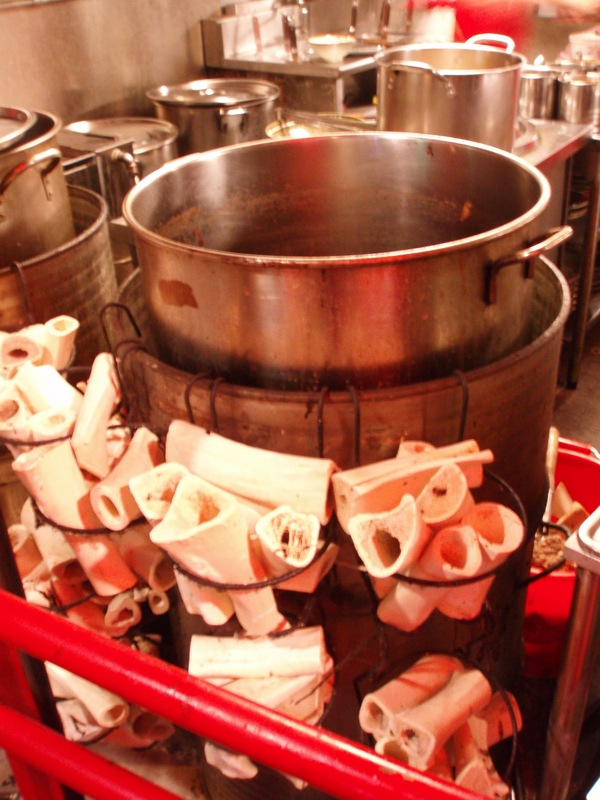 The bone taste if very prevalent; you definitely know you’re drinking bone soup. While the soup is rich in the bone flavor, I felt like it lacked other flavor. They have chili sauce on the table as well as rose salt (玫瑰鹽), which if you add a little of both, we thought enhanced the broth tremendously. I think the biggest problem was the noodles, which didn’t soak up any of the broth taste. As a result the noodles were bland, and since the broth was light, the noodles with the soup made everything taste bland. The beef, however, was good and very tender. One other thing the soup was lacking was a vegetable. 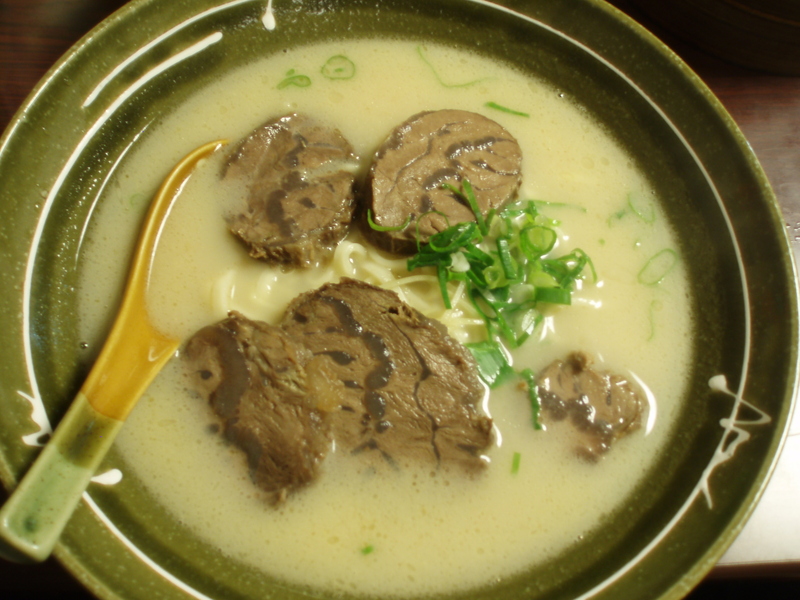 Honestly, I liked the broth, but I think when I go to eat beef noodles I expect rich flavor. This just wasn’t what I was expecting. While this bowl was different, it was still good, and definitely worth a try. broth stewing at seventy-two beef noodle.